Even as I was only recently introduced to this Boston quintet, I already can’t say enough good things about The Appreciation Post. They bring a very fresh, almost “rebooted” sound to pop-punk and I simply cannot stop listening to their new EP, Slip Away. Its six tracks are full of influential energy, relatable lyrics, unique arrangements, and enough good old-fashioned pop-punk to transport any 20-something back to their high school days in a nostalgic time machine powered by posi-jumps. Our very own Troy Sennett gave the release a well-earned 9 out of 10 in his review earlier this month, and if you’re a fan of some of the genre’s most beloved acts such as The Starting Line, Motion City Soundtrack, and even Geek Rock gods like Weezer, then TAP will most certainly be a band you want on your radar. Slip Away was released this past Tuesday (January 21) via digital download, CD digipak, and 10″ vinyl and as my copy just came in, I’m here to give you the skinny on the limited edition wax. 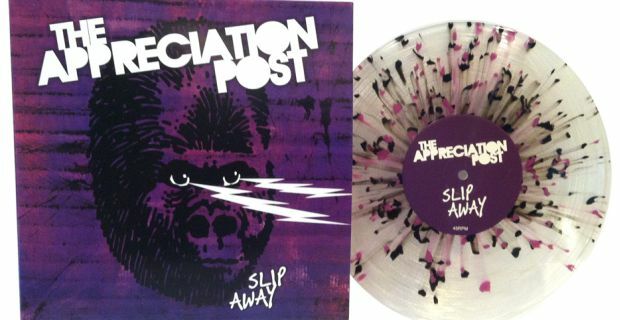 This first pressing of Slip Away is limited to only 250 copies on a 45RPM, 10″ ultra clear vinyl with heavy purple and black splatter. The album was released on January 21, 2014 and is priced at a very affordable and reasonable $12.00 with an additional $3.50 for shipping within the US. 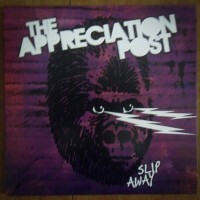 A lot of recent 10″ records seem to include the bare minimum when it comes to packaging and overall presentation but The Appreciation Post gave it their all with Slip Away for a really great looking release. The album’s jacket feels very sturdy, the color is vibrant, and everything about it just looks really inviting. 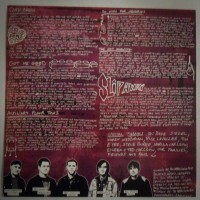 There’s a thick, one-sided lyric sheet included which also looks fantastic and matches the album artwork nicely. The release also contains a digital download code within the packaging which makes the already affordable price tag all the more worth it. The 10″ disk itself, which comes in a standard white protective sleeve, looks beautiful as the splatter colors perfectly coordinate with the album art and the ultra clear wax makes for a really sleek attractiveness. 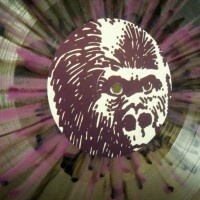 The center labels, also purple, tie everything together nicely, especially as the record’s center hole serves as an eye for the b-side’s gorilla logo label; a nice added touch. The album sounds flawless. There really isn’t much to say other than the fact that the sound quality is crystal clear. It’s widely believed and argued that 45RPM releases have superior quality to that of a 33RPM record, and Slip Away is one release in particular that I would use to back that argument in 45s’ favor. My only complaints when it comes to 45s are relevant when dealing with double LPs, as you have to flip or change the record far more frequently, but when it comes to a single 6-track EP, you get no complaints from me. 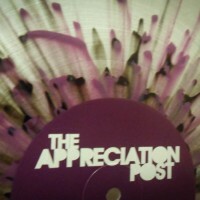 For starters, listen to The Appreciation Post! If you’ve ever loved pop-punk, witty lyricism, or even just something fun to listen to, you will not be disappointed upon experiencing this EP. 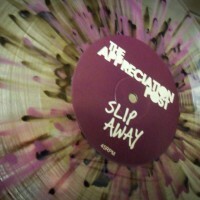 All six tracks are worthy of praise and as a whole, Slip Away will easily be one of the best pop-punk releases of 2014, even as just an extended play. As a vinyl collector, I’m thrilled that the band decided to give this release a physical format other than just a CD and I was even more thrilled to discover how much care they put into it and the quality involved. The vinyl release is well-priced and looks so good. As it’s limited to only 250 copies, I’d suggest biting the bullet now before you shoot yourself in the foot with it by not taking advantage of the opportunity to snag a copy while they’re still available.